Smyrna, GA (April 18, 2010) – GLOCK, Inc. will donate a total of $115,000 to four separate organizations within the National Rifle Association (NRA) during the 2011 NRA Annual Meeting & Exhibits held in Pittsburg, PA, Apr. 29 – May 1. GLOCK, Inc. Vice Presidents Gary Fletcher, Chad Mathis and Josh Dorsey, alongside spokesman R. Lee Ermey will make presentations to each group inside the GLOCK, Inc. exhibition booth (#2029) on Friday, April 29, 2011 at 10:00am. 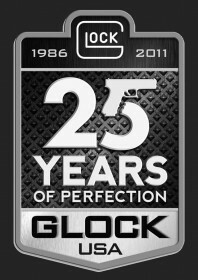 National Rifle Association – This is the second consecutive year that GLOCK will make a $50,000 donation to the NRA. The NRA is recognized as America’s leading advocate for the protection of the Second Amendment of the U.S. Bill of Rights and the promotion of firearm ownership rights as well as marksmanship, firearm safety, and the protection of hunting and self-defense in the United States. Ron Schmeits, President of the NRA, Wayne LaPierre, Executive Vice President and Chief Executive Officer of the NRA, and Kayne Robinson, Executive Director of Operations and past President of the NRA have been invited to accept the donation. NRA Whittington Center – A $50,000 donation will mark the ninth consecutive year that GLOCK has donated to the NRA Whittington Center. The Center is the most comprehensive shooting facility in America today, complete with 15 shooting ranges, classrooms and a dining facility. It hosts recreational shooting and guided hunts as well as camping, hiking, mountain biking and horseback riding activities. Wayne Armacost, Executive Director at NRA Whittington Center has been invited to accept the donation along with Schmeits, LaPierre and Robinson. NRA Whittington Center’s Adventure Camp – GLOCK will make a $15,000 donation to this group. This marks the ninth consecutive year that GLOCK has donated to the NRA Whittington Center Adventure Camp. The Camp is a unique place where young men and women have the opportunity to learn the fundamentals of pistol, rifle and shotgun shooting in a positive environment. Invited to accept the donation on behalf of the NRA Whittington Center’s Adventure Camp will be Armacost, Schmeits, LaPierre and Robinson. NRA Law Enforcement Division (LED) – GLOCK will donate 30 pistols to the LED. This marks the fourth consecutive year that GLOCK has donated to the LED. This event held in Albuquerque, NM, is the NRA’s premiere annual shooting competition where Law Enforcement officers from around the globe compete to test their shooting skills. Invited to accept the donation on behalf of the LED/NPSC will be Glen Hoyer (Director-Law Enforcement Activities Division at the NRA), as well as Schmeits, LaPierre and Robinson.